Barbara Robinson, a life-long member of the Community, earned her college degree in Banking and Insurance and immediately began real estate courses to begin her career in the family businesses of Red Apple Realty, Inc. and Frank W. Starkes Insurance Agency. She has helped well over 1,000 people either achieve the American Dream of homeownership or assist in the sale of their property since 1985. Barbara has vivaciously and enthusiastically enjoyed every day in her profession since that beginning, and continues to help both buyers and sellers fulfill their real estate goals. Barbara has a nack for listening and really understanding what buyers and sellers are looking for and can answer the questions and give the guidance they’ll need throughout the sale process to reach their goals; her extensive knowledge and expertise in the industry is well vetted and trusted since 1985. Barbara embodies the meaning of being a REALTOR®, from listing and selling real estate to activity in her Local Board of REALTORS®, the New York State Association of REALTORS®, (NYSAR), and the National Association of REALTORS®, (NAR), she knows this business from every side and is able to expertly help you navigate your transaction. She was recognized by her peers as REALTOR® of the Year in 2011 and earlier in her career as REALTOR® Associate of the Year in 1988. Her volunteerism includes serving in almost every capacity of local committee work and service on the Board of Directors; as the NYSAR State Director for her local Board, and former NYSAR Chairperson of the Multiple Listing Service, Professional Standards, and Legal Action Committees. 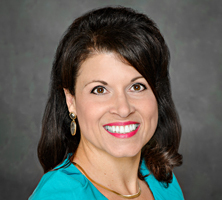 She was thrilled to be selected and appointed by the NAR President to serve on the National Professional Standards Committee in 2015, where the REALTOR® Code of Ethics is reviewed and changed to keep it relative to today, assuring the public that REALTORS® are held to a higher Ethical standard than licensees. Barbara has earned her Accredited Buyer’s Representative (ABR) designation as well as the Graduate REATLOR® Institute designation, (GRI), and continues to hone her skills with education herself, while she also teaches courses at the Columbia-Greene Board of REALTORS® as a NYS certified instructor. She also holds her Insurance Brokers license as well, and has achieved The Certified Insurance Counselors, (CIC) and Certified Risk Managers, (CRM) designations that often tie into assisting the public in real estate transactions. When enjoying time off, she spends it with her husband Jeffrey and their Cesky terrier, Winston. Together, Barbara and Jeff enjoy home improvement and restoration projects, skiing, sailing and time in Vermont. While Barbara enjoys the relaxation of the fiber arts, most notably knitting, you can more often find her on the dance floor where she actively engages in competitive Amateur Ballroom dancing. Proven experience, knowledge, and a fun and energetic outlook on life, Barbara is well-equipped to guide you through your real estate transaction. There is no greater satisfaction to her than helping people in one of their biggest life decisions in the purchase or sale of real estate. Call her at (518)851-9601 or reach her by email at robinsonbj@redappler.com. You can also follow her on Instagram!